Mention universal design and see your companions’ eyes start glazing over. Though formally flashy chairs and posh penthouses may reside at the sexier end of the design world, universal design actually affects us all. So pay attention and prepare to learn something - your less hale days aren’t far off; none of ours is. The term “universal design” is attributed to the architect Ronald Mace, and although its scope has always been broader, its focus has tended to be on the built environment. Those using the term often define it as design “for the whole population,” with the notion being that a design should work for disabled and non-disabled people alike. The term “universal design” is attributed to the architect Ronald Mace, and although its scope has always been broader, its focus has tended to be on the built environment. 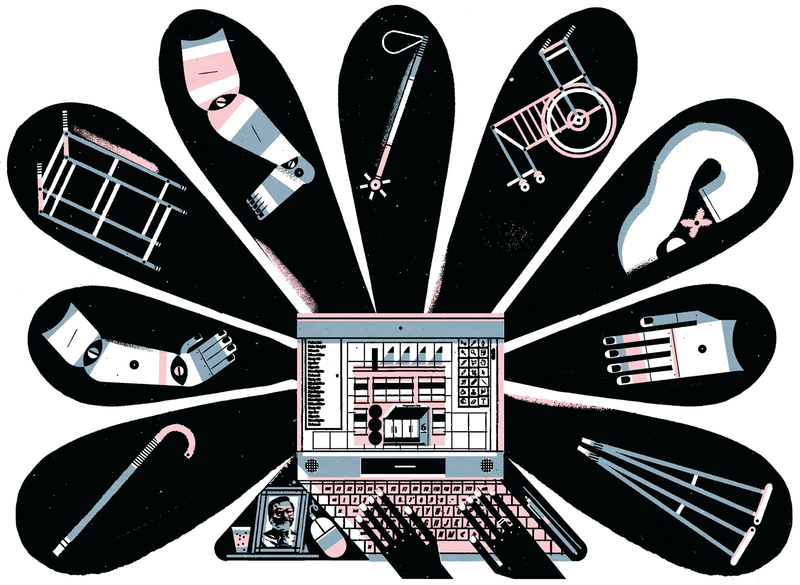 Those using the term often define it as design “for the whole population,” with the notion being that a design should work for disabled and nondisabled people alike. And what idealistic follower of design’s evolution would balk at this humanitarian quest? The very term evokes the jet-setting glamour of the late 1950s: a global consultancy with its HQ on Madison Avenue, perhaps, sharing offices with the sharp-suited ad execs from Mad Men, of James Bond’s cover job with Universal Exports. Yet at the moment, the subject seems neither all that glamorous nor, well, universal. The classic example of universal design is the curb cut. Initially installed to help wheelchair users navigate from street to sidewalk, these unobtrusive bits of public design turn out to be just as useful for parents with prams and travelers lugging wheeled suitcases. The higher aspiration is full social participation. But as useful as universal design can be, something like a wheelchair ramp sited in an ill-lit side entrance does little to ease the stigma people with disabilities face each day. Certain objects that exemplify universal design have crept into the wider culture. Certainly Braille on elevator buttons or an induction loop at a bank teller’s window fit the bill, and one even finds universal design that doesn’t wear its “I’m meant for the disabled” badge quite so prominently. The OXO Good Grips potato peeler is easier to use if you have reduced dexterity or weak grip strength, but it is a popular choice for any kitchen. Perhaps the most common approach, a rough principle of universal design, is to make information about an object or a building available through several senses at once. So pedestrian crossings displaying “WALK” also make noises to help those with visual impairments. Naturally, other people can benefit too - for example, subtitles on the TV intended for the hard of hearing can aid nonnative speakers in learning a language or those trapped in the airport to get their daily dose of news. In the 1970s, much of the political pressure exerted for disability rights came from groups such as the Eastern Paralyzed Veterans Association - often young, otherwise active Americans who found themselves excluded from public life as much by their surroundings as by their wartime injuries. This led to the Americans with Disabilities Act of 1990, which outlaws discrimination based on disability, including inaccessible places, information, and communication. But at the same time, this lineage - and even the wheelchair icon itself - can help to perpetuate the stereotype of people with disabilities as young men in wheelchairs. In the 21st century, demographic changes are altering our perspectives. As lifestyles and modern medicine keep us alive longer, and fewer disabling conditions prove fatal, more and more of us will eventually become disabled. Not the spandex-jacket-and-rocket-pack future the 1950s promised - but culturally, we’ll be healthier, at once grayer and more multicolored, more diverse. It will no longer be possible to marginalize universal design: When more of us have a “disability” than not, universal design will indeed become universal. The future of universal design is what’s in store for us collectively. Here’s the heads-up. A lot of universal design feels more like a tacked-on concession to special interest groups than an intrinsic element in the design process. Now let’s suppose we flip that around. Tuning a traditional radio is a simple and incredibly rich interaction. As we turn the dial, we hear snippets of sound as the stations come and go. The CD player that Naoto Fukasawa designed for the Japanese manufacturer Muji is as simple as it looks and about as simple as it gets.